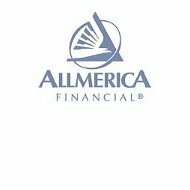 This Allmerica Financial Benefit health insurance company review explores Worcester, Massachusetts-based Allmerica Financial Benefit Insurance Company. Its parent, Hanover Insurance Company, also based in Worcester, owns a group of insurance and benefits businesses. Exploring the basics of any financial institution can be complicated, but comparing health insurance rates is easy. Start now by typing in your zip code to request fast and entirely free health insurance quotes! The members of Hanover Insurance include Citizens Insurance Company of America (Citizens Insurance Company of the Midwest; Citizens Insurance Company of Illinois; Citizens Insurance Company of Ohio); AIX Specialty Insurance Company; Allmerica Financial Alliance Insurance Company; Campmed Casualty & Indemnity Company, Inc. of Maryland; The Hanover American Insurance Company; The Hanover New Jersey Insurance Company; Massachusetts Bay Insurance Company; Nova Casualty Company; Professionals Direct Insurance Company; and Verlan Fire Insurance Company. Hanover also owns money-manager Opus Investment Management, Inc.
Parent Hanover Insurance Group generated $3.15 billion in sales during fiscal year 2010, which ended in December. The company achieved sales growth of 11.22% and net income of about $154.80 million. The company showed a negative 21.5% net income growth year-to-year (2010 vs. 2009). Hanover closed the 2010 fiscal year with about $8.57 billion in assets and approximately $1.68 billion in market value. Dun & Bradstreet considers the company a low-risk vendor. The company changed its name in 2005 from Allmerica Financial Corporation to Hanover Insurance Group. The stock trading symbol changed from AFC to THG on the New York Stock Exchange. The parent company employs approximately 4,400 people and markets insurance products through a national network of about 2,000 independent agents and brokers. The company markets and sells most of its insurance products and services in the Northeast, Midwest, and Southeast United States. Massachusetts and Michigan represent almost one-third of the company’s clients. The company is licensed to sell insurance in every state of the U.S. In 2009, the company announced a Western U.S. expansion program and proceeded to open new offices in California, Colorado, Oregon, Washington, Arizona, New Mexico, and Utah. Hanover Insurance Group sells personal and business property & casualty insurance; health and benefits programs; workers’ compensation; and multi-peril insurance lines. Allmerica sells both personal and commercial insurance programs, although the company’s emphasis is clearly upon its commercial client base. Later that year, Hanover bought AIX Holdings. The company provides workers’ comp, specialty insurance, and car insurance to individual and commercial clientele. In 2009, Hanover purchased small to mid-market renewal rights for a block of non-specialty business for about $400 million. The transaction helped to support the company’s decision to expand westward. To support the specialty insurance unit, the company acquired Benchmark Professional Insurance Services in 2010. Benchmark sells insurance products to architects, engineers, and designers. Campania Group was also acquired that year to extend liability insurance programs to the healthcare industry. Hanover then acquired UK insurer Chaucer Holdings for approximately $510 million in 2011. Chaucer holds two syndicates for Lloyd’s of London. Both underwrite and manage global property & casualty insurance policies. Hanover also deepened and expanded its reinsurance capacity with the acquisition. Chaucer sells specialty insurance products to nuclear energy, marine, and aviation clients. Opus Investment Management, headquartered in Worcester, represents a unique edge to the insurance arms of Hanover Insurance Group. Opus offers investment services to institutions, foundations and endowments, pension, retirement, and benefits plans, and unaffiliated insurers. The business focuses on the fixed income market, including money markets, U.S. Treasury TIPS (inflation protected securities), high yield bonds, and corporate/commercial paper. Opus is an old-line investment management name, founded along with State Mutual Life Assurance Company in 1844. Opus Investment Management maintains an institutional relationship with financial firm Goldman, Sachs. Goldman has made an investment in the trading capabilities of Opus Investment Management. Whether you’re a three-person company or a large, thriving multinational company, health insurance, workers’ compensation, and employee-sponsored programs are expensive. Compare your health insurance rates now—just type in your zip code to get started!